Every year, the DMAA returns to Hong Kong where students spend two incredible weeks training alongside some of the most highly respected masters of Chinese kung fu alive today. 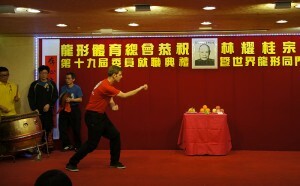 This year, in between a rigorous 10-hours-a-day training schedule, students demonstrated their skills at the Dragon Sign Athletic Association event, which brought together many of the world’s best schools of Dragon style kung fu to honour the memory of the style’s founder, Lam Yiu Gwai. 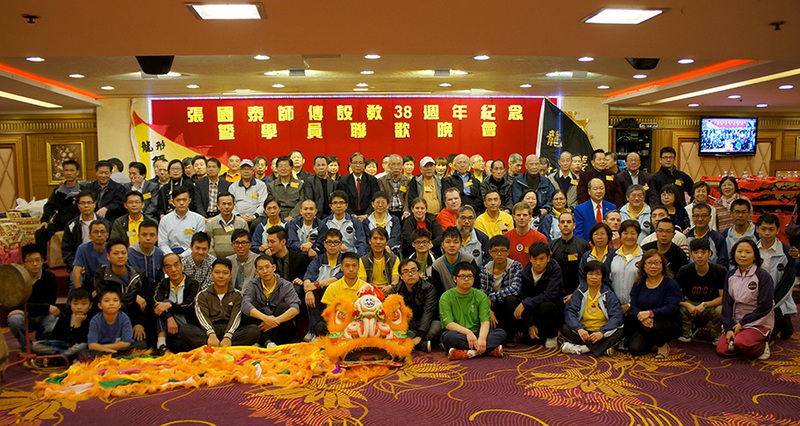 The DMAA was also proud to be a part of Grandmaster Cheung Kwok Tai’s birthday celebrations, which was attended by many of Hong Kong’s foremost exponents of kung fu, from a variety of family styles. Here DMAA students showcased a variety of forms, including Long Ying Mor Kiu, Dragon 9 Foot Heart Piercing Pole, Ying Jow, Hakka stick and the 2 man fighting form (Long Ying Doi Cha). We would like to express our gratitude to all those who gave us their time, patience and knowledge to help us improve our understanding of this exceptional martial art.